"Domaine & Maison Les Alexandrins" came into being with the collaboration of three figures of the Northern Rhone Valley: Nicolas Jaboulet, 6th generation of a winegrowing family in Tain l’Hermitage since 1834, Guillaume Sorrel, son of Marc Sorrel of Domaine Sorrel in Hermitage, and Alexandre Caso, specialist in the terroirs of the Northern Rhone. They came together in 2012 when Nicolas Jaboulet (head of Maison Nicolas Perrin founded in 2007) and Guillaume Sorrel along with Alexandre Caso (who together founded Domaine Les Alexandrins in Mercurol in 2009) began working parcel by parcel in Crozes-Hermitage for the wines of Maison Nicolas Perrin. Their shared knowledge of the terroir, of the wines that have marked the history of the Northern Rhone Valley, and their appreciation of the great wines of their region quickly inspired them to go even further together. In 2014, the desire of Alexandre and Guillaume to promote the Domaine Les Alexandrins wines and Nicolas’ ambition to anchor Maison Nicolas Perrin in the heart of the Northern Rhone Valley led the three men to strengthen their cooperation. 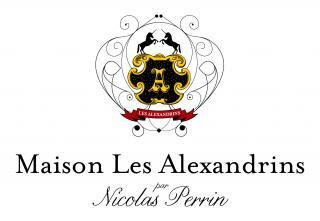 From 2015, Maison Nicolas Perrin took a majority share in Domaine Les Alexandrins, reflected in the change of name to “Domaine et Maison Les Alexandrins”. 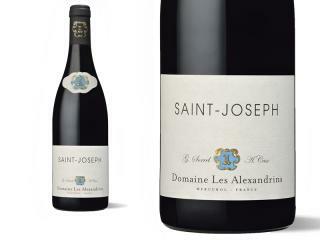 Their collaboration made it possible to pursue the dream of Domaine Les Alexandrins – that of making Northern Rhone wines that embody pure classicism – and at the same time transform Maison Nicolas Perrin and Maison Les Alexandrins to expand an offer already long acclaimed for its quality across all the appellations of the Northern Rhone. Nicolas Jaboulet, Guillaume Sorrel and Alexandre Caso make the most of real treasures, often forgotten or old vines on exceptional terroirs, to achieve the finest expression of the appellation. For these three men, imbued with the savoir-faire of their parents and grandparents, the estate should produce wine in the noblest tradition of the Crozes-Hermitage and Saint-Joseph appellations, from vines planted on historic terroirs. The estate is limited in its appellations (Crozes-Hermitage and Saint-Joseph), limited in volume, and worked parcel by parcel. Work in the vineyard follows the ancestral traditions of the winegrowers of the region. This is the case for the more than 70-year-old Syrah vines of Crozes-Hermitage and also for the almost forgotten, 90-year-old vines in Tournon, for the Saint-Joseph wines. And every year, whether vinifying in whole clusters or otherwise, Domaine Les Alexandrins gives priority to skills which today have sometimes fallen into oblivion in the Northern Rhone Valley. 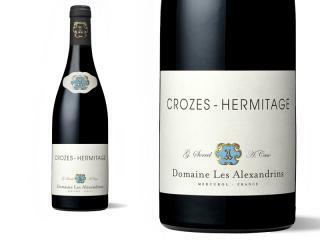 These two exclusively Crozes-Hermitage and Saint-Joseph wines give pride of place to classicism. Maison Les Alexandrins is the natural evolution of the former Maison Nicolas Perrin. The wines of Maison Les Alexandrins are the natural extension of all the work undertaken at the estate. More modern in its approach, with a more contemporary style, it also proposes a more varied palette of Northern Rhone wines. This range is our invitation to the world to look at and interpret the traditions of the Northern Rhone Valley from a new perspective. We offer a style that is both contemporary and timeless, based on the exceptional terroirs discovered by Alexandre Caso, the specialist in the terroirs of the Northern Rhone Valley, with eight references that embody a thoroughly up-to-date classicism.